My older daughter Fiona has been taking art class at the art museum for a few years now and loves the classes. (I love getting ideas for the art classes I teach at the library!) While she is in class, my mom and Lexi and I usually walk around the museum, or when Lexi is feeling more rambunctious we go to the Natural History Museum to let her run off some steam (which might be considered inappropriate to do in an art museum). Lexi has been known to try to climb on the art furniture, run speedy-like through the galleries and make a lot of noise in a place that is slow and quiet, and once she was pounding on the walls in the gift shop causing a guard to come running before I could get her to stop. Fun parenting times. So lately we’ve been avoiding the museum. Which is unfortunate since I love going there and even got my undergrad degree in art history, so the art museum has always been one of my favorite places. This past weekend my mother in law was also visiting and we decided to hang out at the museum to look around so she could see some of the art work and also because we were planning on going to the Natural History Museum with Fiona for some fun Halloween activities once she was done with art class. I’m glad we stayed, it had been a while, because Lexi actually did really well. 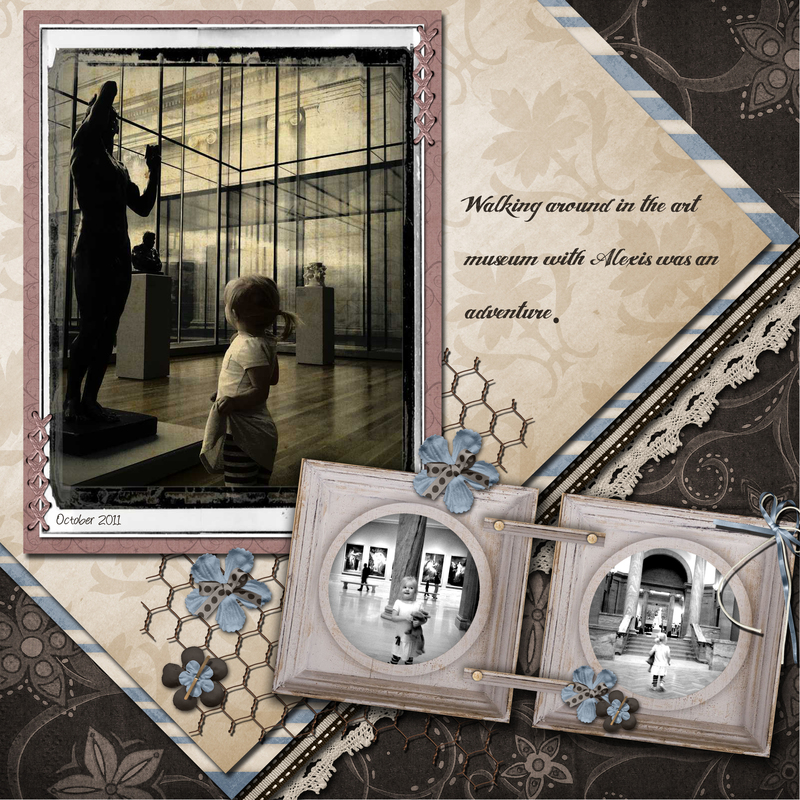 She enjoyed wandering around in the galleries and looking at some of the art. She especially liked the life size horse model that is sporting a shiny suit of armor with a model of a knight riding on its back. We sat and looked at that exhibit for a long time. She was definitely more interested in sculptures and other three dimensional works. Besides the armor gallery, with the horse, one of my favorite galleries is the Rodin sculpture room. It’s completely surrounded on 3 sides with floor to ceiling glass windows. It’s a beautiful backdrop to his works. I was amazed at how much Lex liked looking at the statues and how good she was at not wanting to touch everything. It was such a pleasant time that I am looking forward to going again this weekend and spending time with Lexi in the galleries.